Black Friday, Cyber Monday, nonstop Christmas advertising on TV… you would be forgiven for thinking that Christmas is all about buying new technology, toys, perfume and chocolates. Exchanging presents has been part of the Christmas tradition for a long time, thought to be symbolic of the gifts brought to the baby Jesus by the Three Kings. Christmas is celebrated around the world in many different ways; some countries draw on religious elements, others incorporate winter festivals into this celebration, and others, like us in the UK, borrow traditions from other countries. Christmas, as we know it today, in Great Britain, is very much an invention of the Victorians, thought to have been introduced by Prince Albert from Germany. Father Christmas, Santa Claus, Pere Noël or who? From Europe to Africa, North America to the Far East, children around the world are preparing for a visit from Father Christmas, or maybe someone else… Because although Christmas wouldn’t be Christmas here in the UK without a visit from the plump man in red, in other countries different gift-bringers visit people bearing presents, and not all of them come down the chimney on Christmas Eve! In Germany Weihnachtsmann (Christmas Man) or Christkindle (Christ Child) comes on Christmas Eve. In Belgium Père Noël (Father Christmas) visits French speakers and Kerstman (also Father Christmas) visits Dutch speakers. In Iceland there are thirteen Santa Clauses, known as Jólasveinar, in folktales. In Spain there’s many variants: Papá Noel or the Tió de Nadal in Catalonia, Olentzero in the Basque Country, Apalpador in areas of Galicia, and Esteru and Anjanas in Cantabria. Santa Claus is the most popular name in these regions, with Father Christmas also being used in New Zealand and Australia. Père Noël is used by French speakers in Canada, and Kris Kringle, Saint Nicholas, or Saint Nick might also be heard in the United States. Across South America Santa Claus is translated into different languages, with lots of variations on Papá Noel or El Niño Dios (God Child). In many countries gifts are given by the Three Kings on Epiphany (6 December), not on Christmas Day. For many countries in the East, Christmas is a tradition that has been adopted from the West with no previous festival at this time. 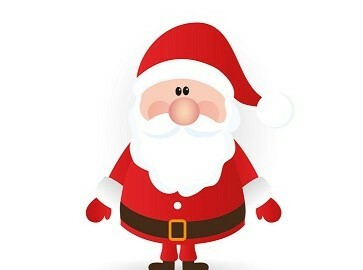 In China “The Old Man of Christmas” is translated as 聖誕老人 in Traditional Chinese, 圣诞老人, in Simplified Chinese, sing daan lo jan in Cantonese and shèngdànlǎorén in Pinyin. In Japan he’s called Santa Kuroosu, or Santa-san. In India there’s again several variants, including Christmas Thatha / Christmas Grandpa (Tamil), Thatha / Christmas Old Man (Telugu) and Natal Bua / Christmas Elder Man (Marathi). Of those countries in Africa and the Middle East that celebrate Christmas, Papá Noel is the most common name for Santa Claus. In South Africa Sinterklaas, Father Christmas and Santa Claus are also used. Also note the Arabic ابا نويل or baba noel. As you can see there are as many variations and translations of “Father Christmas” as there are customs and traditions during the festive period! We believe that understanding a country’s culture is just as important as accurate translations when it comes to website localisation and marketing translations. While many countries do celebrate Christmas, traditions and customs vary from country to country and therefore it’s essential that you have a good understanding of these if you’re doing business overseas. If you would like support with your business translations why not get in touch with us at Comtec? Call + 44 (0) 1926 335 681, email info@comtectranslations.com, or visit our Translation Services page to find out more about how we can help.